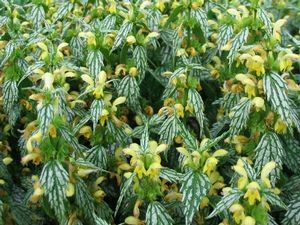 The small green leaves with striking silver variegation form tidy mounds at 15-18”, which spread evenly in the high shade, and dryish soil it likes best. 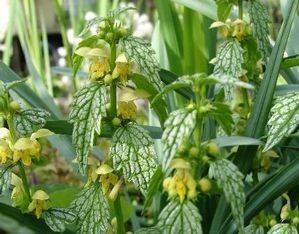 A dependable ground cover where little else will grow; the small yellow flowers are a bonus in May. A nice alternative to the Lamiums.